At the Global Citizen Festival, introducing the one and only Stevie Wonder. 'Very good is the enemy of great, you can mistake it for great'. 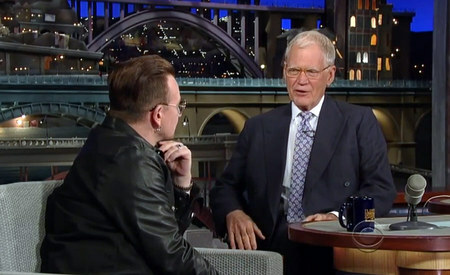 Bono on Letterman. Malala Yousafzai and Harry Belafonte have received Amnesty International's 2013 Ambassador of Conscience Award.